June 11th - Arrive in Barcelona by 11am for Opening Ceremony at 2pm. June 12th - Barcelona - classes morning. During the afternoon we will discover Barcelona with an exiting downtown walking tour. 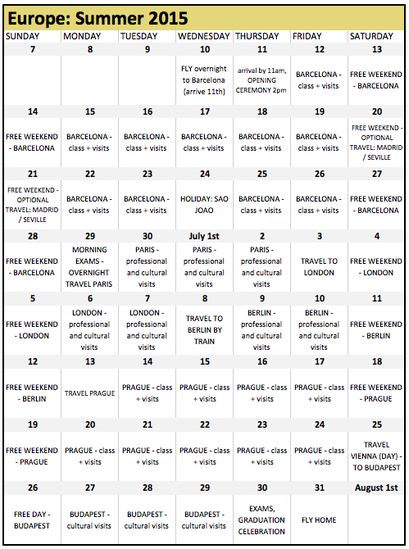 June 13th - 14th - free weekend in Barcelona. June 15th - classes in the morning. FC Barcelona case study and FC Barcelona Museum visit in the afternoon. June 16th - classes in the morning, Estrella Damm Factory professional visit in the afternoon. June 17th - classes in the morning. June 18th - classes in the morning, Tous Jewelry professional visit in the afternoon. June 22nd - Classes in the morning, In the afternoon we will visit the Park Guell and stay for an amazing sunset. 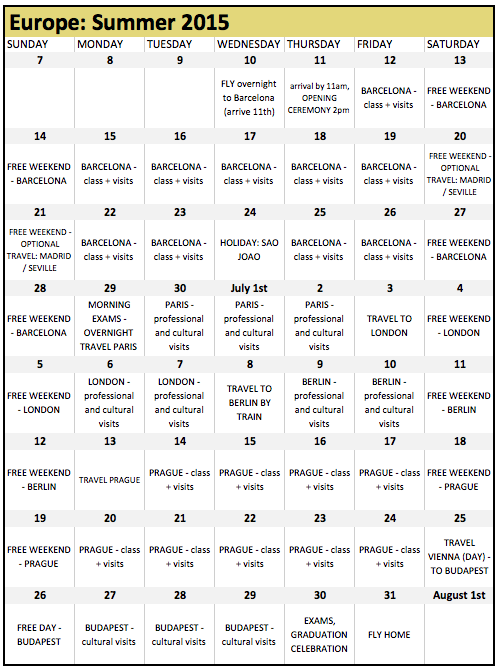 June 24th - Barcelona - Holiday Celebration (suggest visit to the Sagrada Família or Montserrat). June 25th - classes in the morning, Codorníu Cava Producers professional visit in the afternoon. June 29th - Exams in the morning. In the afternoon we will take the Euroduplex Train on a high speed travel to the amazing Paris. ( have your cameras ready). June 29th - arrive in Paris, check in hotel. Students night out. June 30th - classes in the morning, Downtown walking tour in the afternoon. July 2nd - Paris - classes in the morning, Louis Vuitton visit and Fashion Business tour in the afternoon. Louvre Museum scavenger hunt visit in the afternoon. July 3rd - Today we will take a train ride straight to London. This unique train ride takes you from Downton Paris to Downtown London through the Channel Tunnel or Eurotunnel. July 3rd - arrive in London, check in hotel, Welcoming ceremony for B1/B2 students. July 4th - 5th - free weekend in London. Let's have fun! July 6th - London - classes in the morning, professional visit, Downtown walking tour in the afternoon. 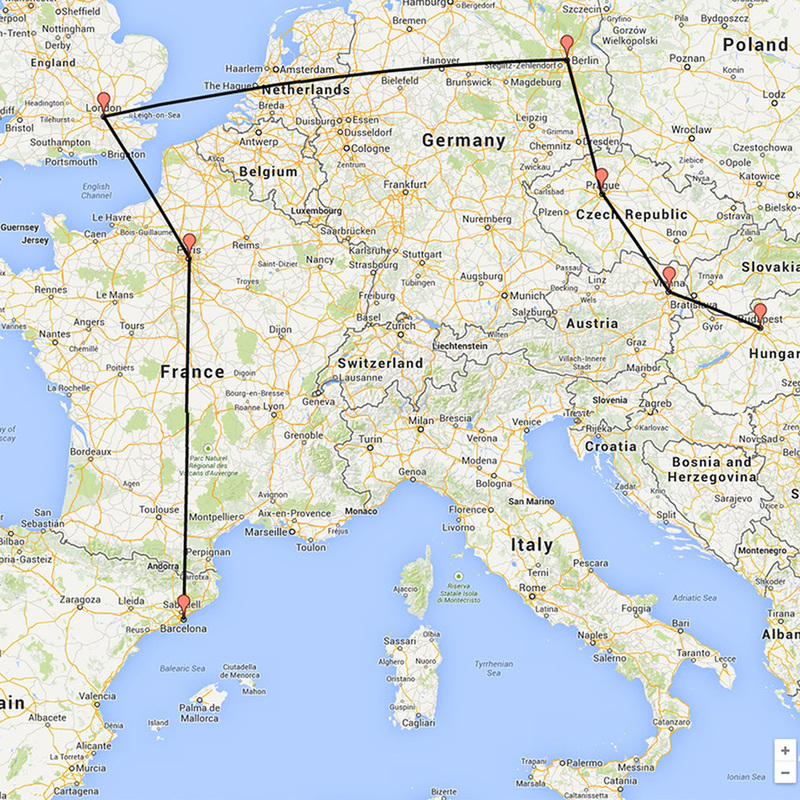 July 8th - Morning off, Fly to Berlin in the afternoon. July 8th - arrive in Berlin, check in hotel. July 9th - classes in the morning, afternoon walking tour. July 10th - classes in the morning, BMW Berlin motorcycle plant professional visit. July 11th - Bundestag (German Parliament) visit starts at 09:00am. July 13th - Train ride to Prague. 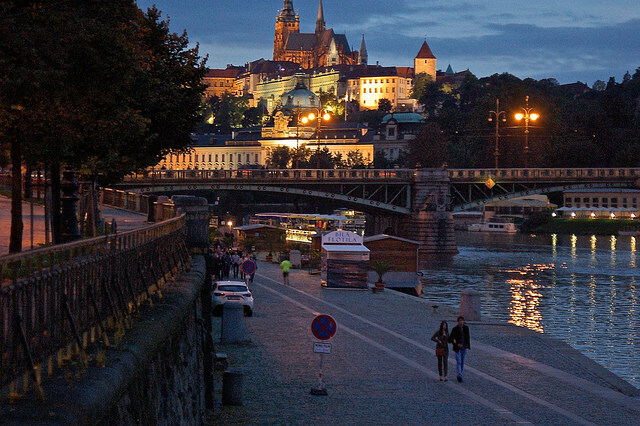 July 13th - arrive in Prague, check in the apartments. July 14th - Classes in the morning, walking tour in the afternoon. July 15th - Classes in the morning, Beer Museum visit in the afternoon. 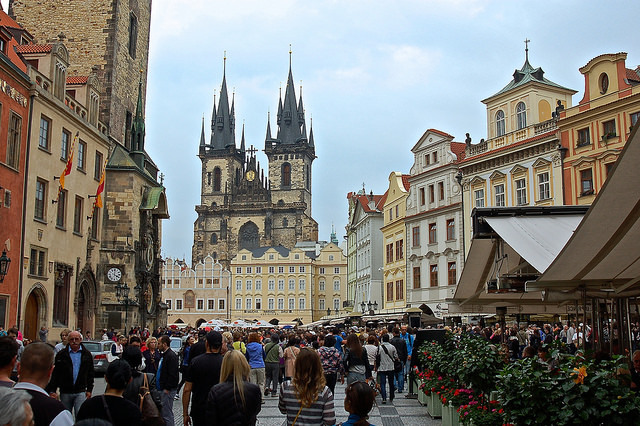 July 17th - Prague - classes, professional visits. July 20th - 24th - Prague - classes, professional visits. July 25th - arrive in Budapest, check in hotel. July 27th - Classes in the morning, professional visit in the afternoon. July 28th - Classes in the morning, House of Terror Museum visit in the afternoon. July 30th - Budapest - Exams in the morning, Graduation Ceremony in the afternoon. including: Barcelona, Paris, London, Berlin, Prague, Vienna and Budapest.